What actions to take with Sales and Marketing Alignment. In any organization, sales and marketing are the two most important functions for the business to grow, especially in the competitive financial industry for Singapore financial institutions. Even if your company has an awesome product, it would need a capable marketing team to build its brand and create marketing collateral before the salespeople can sell them effectively. In the ideal situation, sales and marketing should work hand in hand but this is not always the case. Previously, I pointed out the three benefits of sales and marketing alignment but the question of how to do it remains open. In this article, we will look at three different methods of aligning sales and marketing. 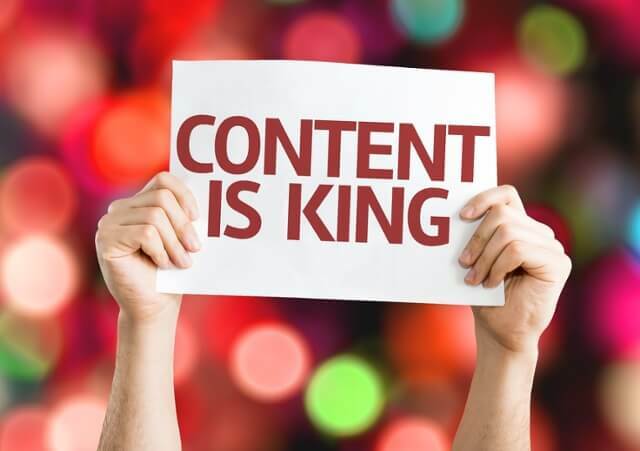 In this information age, content is king. Once you get your content right, everything else will follow. Content starts from your company’s website to your brochure to your Facebook posts and YouTube videos. The key to content alignment begins when both sales and marketing come together to agree on a consistent message to be used across the company. 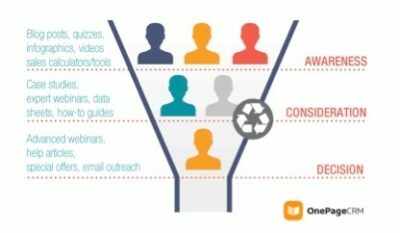 Content should be created to nurture prospects along the various stages of the sales funnel. There should be sufficient and relevant content for each stage and sales should understand the motivation of clients for reaching out to them. 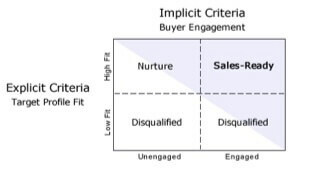 In the consideration stage, the materials would address a pain point and once sales know the pain points from the downloaded content, the sales representative would be more effective at selling their products. Such alignment will also prevent overwhelming the sales person from leads that are not ready to buy so that they would be more effective and trust the leads given by marketing. Marketing can cultivate leads to the decision stage by disseminating content through marketing software and tracking their effectiveness. After a period of time, both departments should also conduct a content audit. The departments should check what materials are being used by the sales representative, if there is sufficient content at each stage of the funnel and the actual materials used by sales when they face the prospect. For the finance industry, it is also important to ensure that all marketing materials clear compliance. This is to prevent any misleading information being disseminated. For sales and marketing to be aligned, they have to on the same page on the quality of the lead. Lead scoring looks at the digital body behavior of a lead and checks if it fits your company’s ideal customer profile. The hardest part is come up with the right criteria to gauge the prospect’s qualification and interest level. For instance, if you are in the private banking space, qualified prospects should have at least $10 million of net worth and can put up $1 million worth of assets. Your ideal prospect would be between the age of 40 to 60, owns multiple businesses, have three children and are probably worried about wealth preservation. Such prospect would score highly in terms of qualification. Then you look at their actual behaviour online. The prospect might end up downloading your white paper on the emerging market trends report, signs up for your seminar and visited your site three times in a week. All these are easily trackable with a decent CRM software and more points should be added for this prospect. For leads that are sales ready, marketing can qualify leads with grades of A, B, or C based on the points of the lead. There are external resources that can be used to enhance your scoring of these leads. Finally, there should be a review process to examine the effectiveness of these lead scoring. To paraphrase Stephen Covey, one of the traits of an effective executive is to begin with the end in mind. The same principle applies for the setting of service level agreements. The end is clearly the sales quota and then we work backwards. Suppose one team of private bankers has a monthly sales quota of bringing in $1 million of new assets. Based on your existing marketing effort and sales funnel, marketing will qualify leads based on the lead scoring framework. 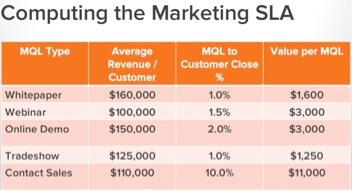 Based on the activity of the lead, marketing would know the conversion rate and revenue which would be set on a table. Marketing would then commit to deliver 10 leads who takes the initiative to contact sales (worth $110,000), 200 whitepaper leads (worth $320,000), 100 webinar leads (worth $300,000), 100 online demo leads (worth $300,000) in a month to support the $1 million sales target. The Marketing SLA can be any combination of Marketing Qualified Lead (MQL) for a sales cycle of 1 month. The Sales SLA would be based on the optimal time needed to contact a lead before it goes cold based on past experience. For instance, if a lead were to contact sales directly, it might indicate that the lead requires urgent service. Sales would commit to a 30 minute response time and to contact all 10 leads within a day. For whitepaper leads, they are still taking their time to consider and sales can commit to a SLA of 1 day response time. So it is up to marketing and sales to plan their activities such that they can commit to the agreed SLA. There should also be periodic review of the actual SLA being achieved and based it according to the actual sales closed. Great organizations do not happen by chance. It takes careful planning and implementation. The alignment of sales and marketing should form the core of your business plan and they should be updated constantly. Content alignment, lead scoring framework and SLA are the main engines which will align both departments and with your customer’s demand and behaviour. Any organisation that aligns themselves with their customer will have sales follow naturally. Now that you know of the importance of aligning both the sales and marketing processes, you will have to take action. In the next article, we will detail the framework to make that alignment possible. Stay tuned. 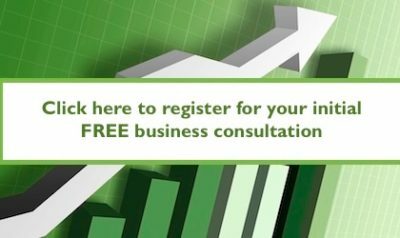 To find out more about how we can help take your business to the next level, please register below for an obligation free discussion and initial assessment.